Dusting my study (a rare occurrence!) I couldn’t help admiring my trophies. 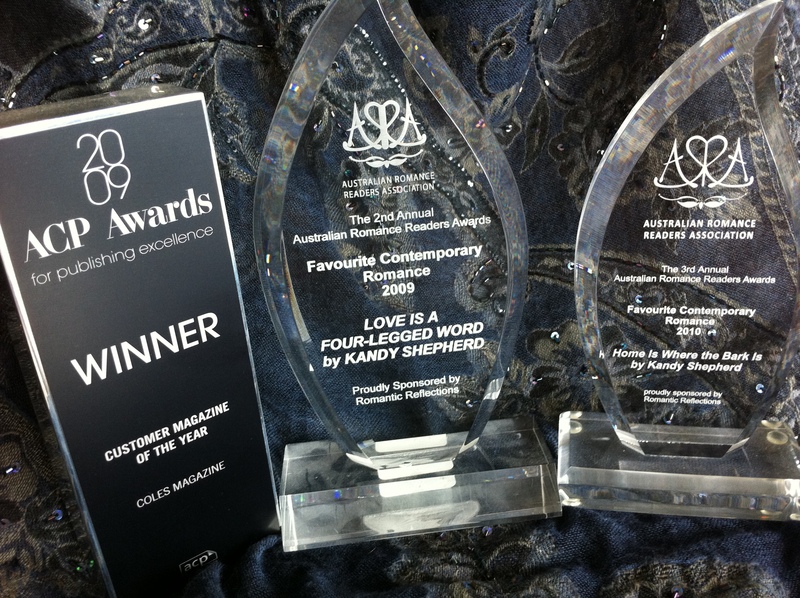 In the middle is my award for Favourite Contemporary Romance awarded by the Australian Romance Readers Association for Love is a Four-Legged Word. I was amazed and delighted to win—the winner announcement was one of the most thrilling moments of my life. The award on the right is for the same category in last year’s awards for Home Is Where the Bark Is. I really couldn’t believe that I’d won two years in a row. The winning of these awards is all the sweeter for the fact that my Berkley Sensation novels are not readily available in Australia. 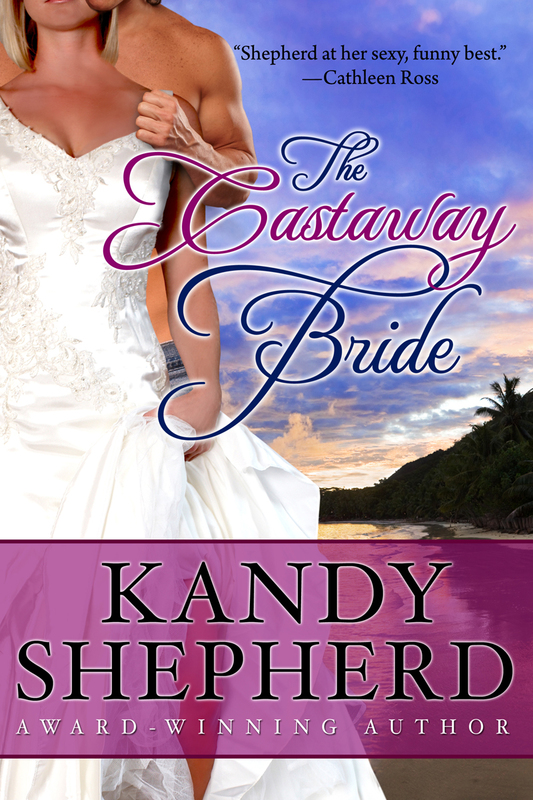 Perhaps even more thrilling is that the Awards are on again tonight and I am a finalist in the Favourite Contemporary Romance category for my indie-published e-book The Castaway Bride. This book is an Amazon bestseller and was recommended by The Wall Street Journal to its readers. But to final in a competition voted by readers is beyond amazing. On the left is an award won for my “day job” in publishing. The award for Customer Magazine of the Year is from ACP, the biggest magazine publisher in Australia for the Coles Magazine—a food magazine that is free in Coles supermarkets (Australia). It has a circulation in the millions and is highly successful. The award is to the wonderful editorial team but, as the editor of the magazine, I got to collect it. It has to go back to the office but it’s been fun having it on my shelf. Best of luck to all the finalists in tonight’s ARRA awards—I’ll be there cheering you on.